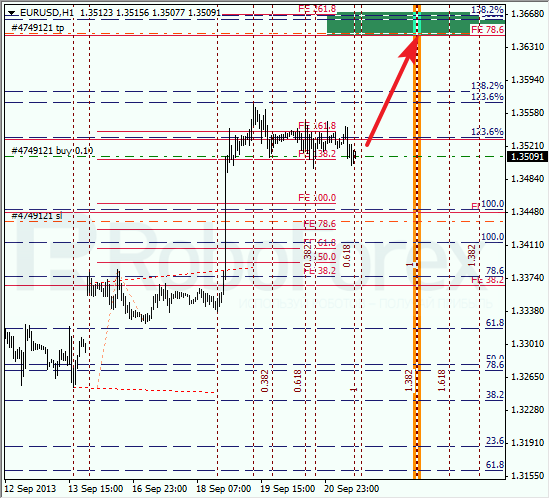 The EUR/USD currency pair is still being corrected. Most likely, in the future the bulls will continue pushing the price upwards to reach their target area, formed by the levels of 78.6%, 138.2%, and 161.8%. 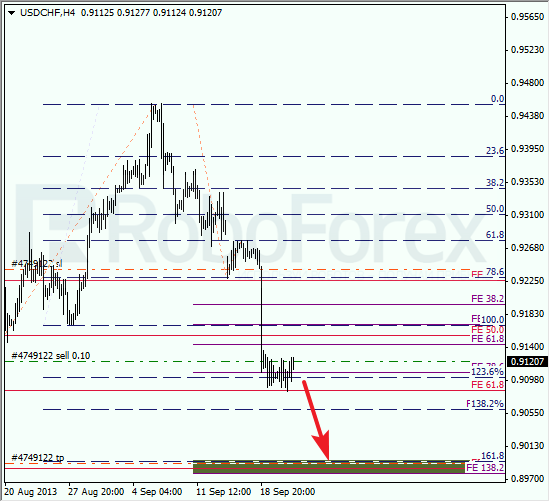 At the H1 chart we can see, that there is one more level, 161.8%, in the target area. According to the analysis of the temporary fibo-zones, the predicted targets may be reached by the middle of the week. Later, the pair may rebound from them and start a new correction. Franc is also consolidating. 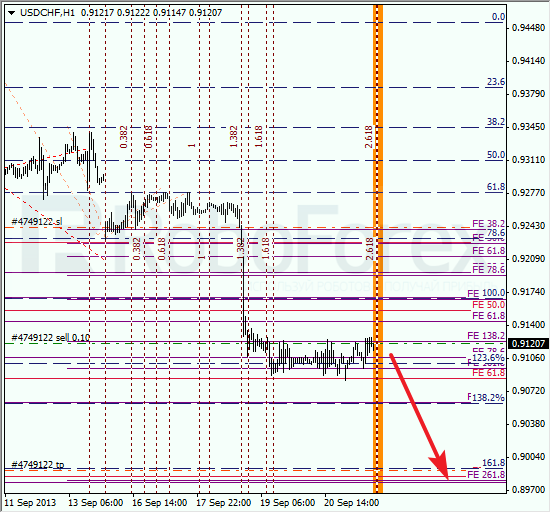 During a correction, I opened a sell order with the target near several lower levels. I’ll move the stop into the black as soon as the price breaks the minimum. As we can see at the H1 chart, the pair moved very close to the temporary fibo-zone, which may be a sign of a new descending movement. I’m planning to open several more sell orders as the price continues falling down.